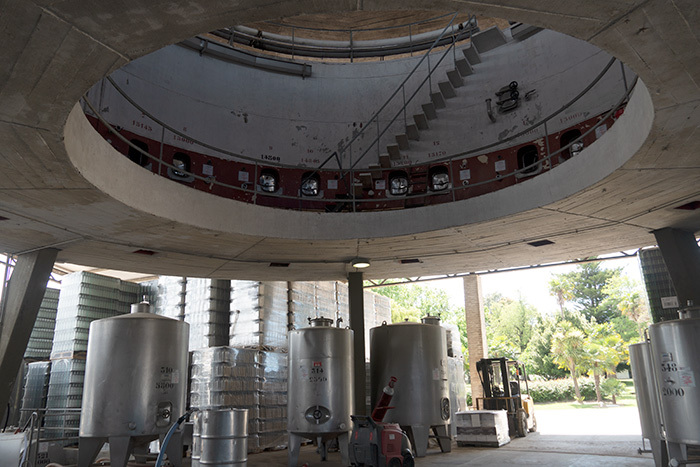 Both wineries have been in operation from the days of the concrete tanks which you can see above the newer stainless ones. They were my biggest surprise. Here's something I copied from the internet: "For centuries, European vintners used monstrous concrete tanks to ferment and store their wines, a technique used in California's oldest wineries before Prohibition. "But when the state's wine industry blossomed in the 1970s and 1980s, many wineries turned to stainless steel. "Now, concrete is making a comeback. North Coast wineries are trying an old technique in a new way, installing small, portly concrete tanks that look like creatures from another world."